Garrett Hause stands with a neighbor's dog on his hemp farm in Lafayette. 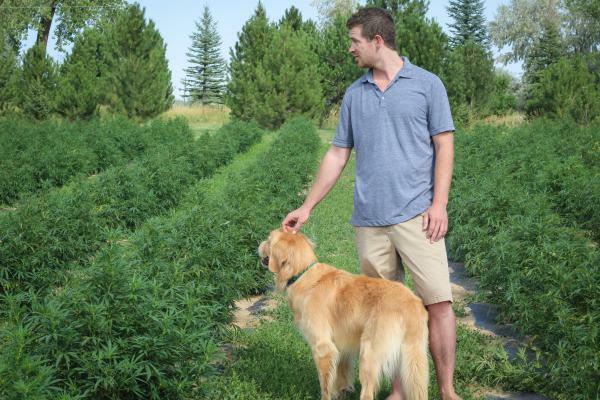 It's his second year growing hemp and the first year he hopes his business will break even. “It’s just me and one partner, mainly me, out here, so it’s really a lot of work to maintain everything,” he said. This is the first year Hause expects his business will break even, and it’s also an important election year for hemp growers like him. This November voters will be asked if they want to remove industrial hemp from the state constitution and move it to the state statute instead. While it might sound like an effort to curb the state’s thriving hemp industry, supporters say Amendment X would do just the opposite. 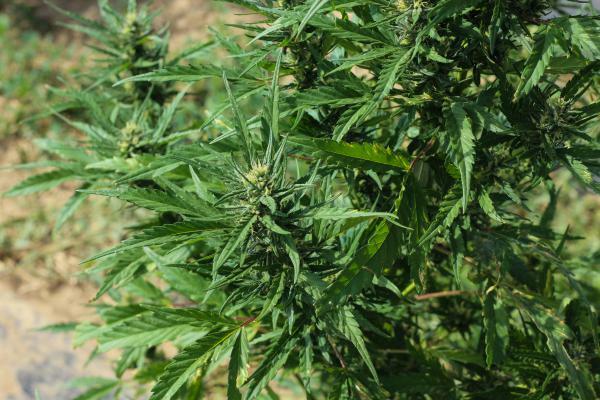 “There’s a chance that if we don’t do this, the law could conflict in a way that it would actually make it so that our hemp industry suffers,” said Democratic state Sen. Stephen Fenberg, a primary sponsor of the measure. As one of the first states to legalize hemp, Colorado’s constitution defines industrial hemp as a type of cannabis that cannot contain more than 0.3 percent tetrahydrocannabinol, or THC, the psychoactive component of marijuana. Fenberge is concerned that federal laws regulating hemp will change relatively soon. Earlier this summer, Senate Majority Leader Mitch McConnell, a Republican from Kentucky, introduced a bill that would remove hemp from the list of controlled substances, where it’s currently lumped in alongside drugs like heroin. The bill is expected to pass. That’s great news for the hemp industry, but if the federal bill conflicts with than what’s written in Colorado’s constitution, it could be a major setback. Industry leaders like Hunter Buffington, the executive director of the Colorado Hemp Industries Association, say they support Amendment X. “It’s really good public policy to actually move (hemp) from the constitution and move it somplace where it can be modified,” she said. 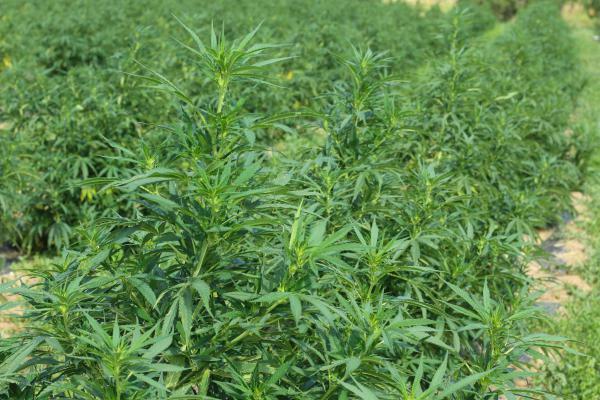 As federal policy changes, Buffington and Fenberge agree that Amendment X will allow the state to make necessary adjustments in regulating hemp quickly and easily. That way, said Fenberge, as more states begin growing hemp, Colorado’s industry doesn’t lose the advantage it’s gained over the last few years. “We want to make sure that we’re not disadvantaged in a way that actually puts us behind,” he said. At the same time, Amendment X creates some uncertainty for hemp growers like Garrett Hause. While he thinks there could be benefits, he says the prospect of change has him feeling pretty anxious. Hause built his business according to the current regulations. He’s said he’s spent a lot of time and money growing specific varieties of hemp that don’t produce more than the legally permitted 0.3 THC. “We’re constantly testing just to make sure each strain doesn’t go over that percentage threshold,” he said. If his plants go over, then by law he has to destroy them. But all that hard work is squandered if the federal government decides to change the definition — such as by allowing for up to 1 percent THC. Hause said he’d prefer things to stay as they are. “At least for a couple years, I don't want anything to change too much,” he said. Editors note: An earlier version of this story inaccurately reported the legal THC threshold in Colorado as 0.03 percent. It has been corrected to 0.3 percent.